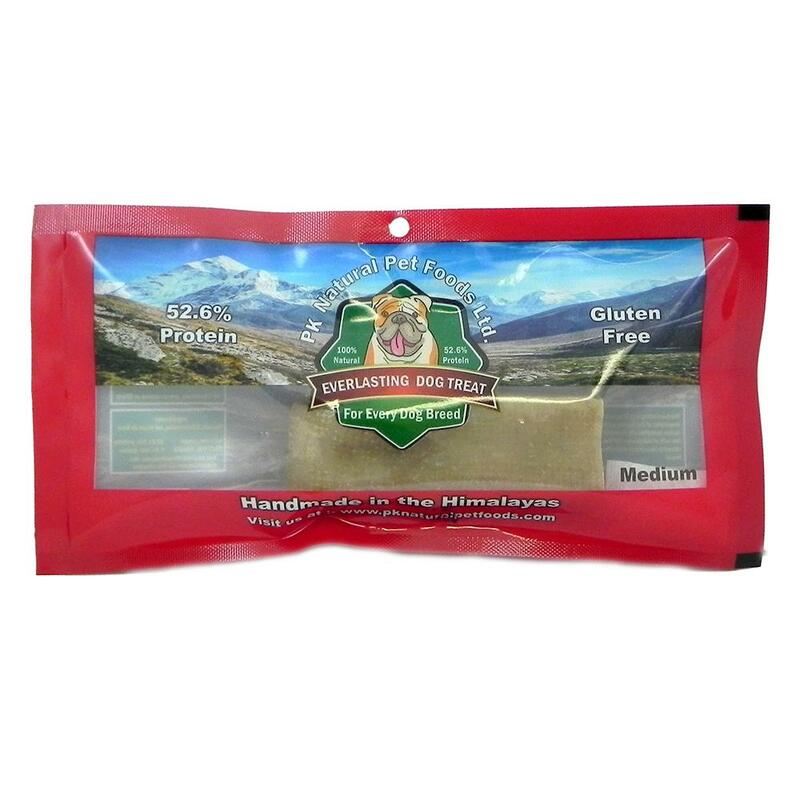 These Himalayan hard cheese chews are a deliciously irresistible 100% natural source of protein for your furry friend. Made with a centuries old recipe from the indigenous people of the Himalayan Mountains in Nepal. This treat is gluten free, meat-allergy friendly, low-fat, and low-calorie. Its hard texture can remove plaque and tartar buildup, helping to prevent dental diseases. Ingredients: Yak Milk, Cow Milk, Salt, Lime Juice. As with any dog treat, please supervise your dogs when eating these, watch for potential choking hazards. Remove small pieces under an inch. Manufacturer: PK Natural Pet Foods Ltd.
See all products from PK Natural Pet Foods Ltd.